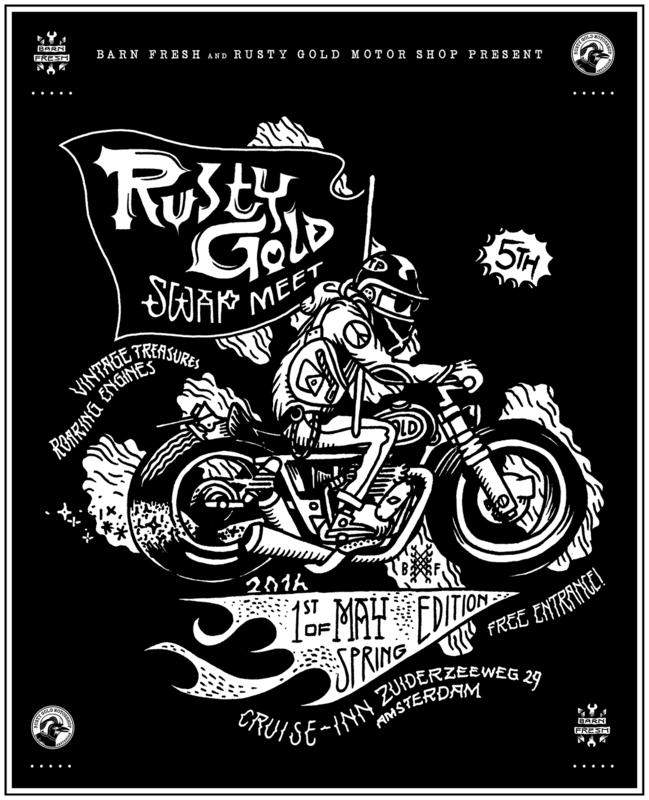 Barn Fresh and The Rusty Gold Motor Shop present the 5th edition of our annual Rusty Gold Swap Meet - spring edition. Swap, sell and show your vintage parts and custom bikes. 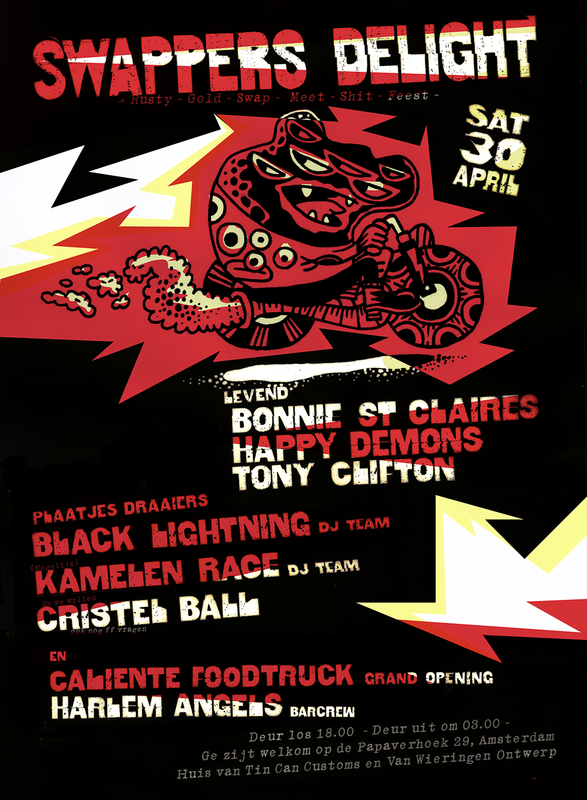 Classic motorcycles, Diggers, Cafe Racers, Bobbers, Desert Sleds, Choppers, Classic Super Bikes, Flat Trackers, Classic Streetfighters, Scramblers, all are welcome! Join us at the Cruise-Inn from 10.00 till 18.00. Zuiderzeeweg 29, Amsterdam. Live music, food and drinks and free entrance! Important note: All swap spots are fully booked.